Hellenic and Roman Lifestyles research papers go into the important aspects of Hellenism and Roman Culture. The air of Greek culture that encapsulated health, body, mind, and art was particularly popular during the reign of Alexander the Great in mid-4th Century B.C. among the Hellenes. They were called the Hellenes because in the Trojan War they fought to regain Helen. Thus their cultural output is referred to as Hellenism, a self-conscious simulation of Greek art, minus the political and historical process that the Greeks encountered in their original art. In its day, Hellenism could have been called post-modernism. In the era of Hellenism, science and the origin and complexity of the universe began to be explored. What was discovered was that certain laws existed in nature were undeniably universal. This discovery that the universe was actually a rational, understandable place thrust scientific exploration into exploring “why” verses “how” things function. Thus mathematics, astronomy, physics, and other sciences developed a foundation of knowledge that began revealing the previous mysteries of the universe. Along with the advancement of science, biological science determined that man, in order to maintain society and be an effective citizen, must have a healthy body to foster a healthy mind, and vice versa. 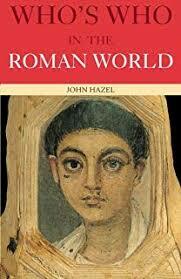 Roman culture also explored philosophy, most notably in the form of the Justinian Code. The concept of justice was of utmost importance to the developing western world. Roman law emerged through the form of the Justinian Code and still today, we take from this code in our society. The notion that “justice holds the scales to weigh truth and falsehood and she is blindfolded” is derived from the Roman concept of impartiality in justice, hence the blindfold. In our society today, the image of lady Justice holding the balanced scales reiterates this concept. Architecture was of great importance in the Hellenistic and Roman tradition. Spilling over from Alexander’s desire to build a grand cultural mecca, the Emperor Constantine also sought to build a religious and political capital in Constantinople, which was to be a “second Rome”. At the beginning of the fourth century, the failure of old political and ideological structures was evident to anyone who concerned themselves with such things. This realization sparked movements to restore the peace and unity of the good old days. In the glory days of the Roman Empire, roads were built, a strong, sweeping government was established and a general feeling of order pervaded. Paper Masters writes custom research papers on Hellenic and Roman Lifestyles and goes into the important aspects of Hellenism and Roman Culture.